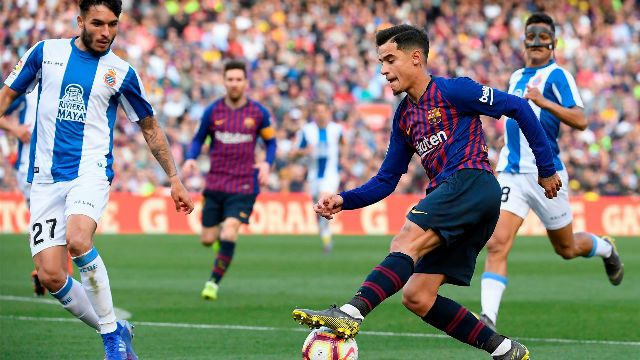 Philippe Coutinho's inconsistent season and the possibility, announced by SPORT, that he could leave Barcelona in the summer has opened many European clubs' eyes. Any buying club would have to be able to be able to promise him the opportunity to play with freedom and have the financial power to match Barça's price tag -- around 130 million euros, so they don't lose too much money on their record signing. Not many clubs will be able to do that, but there are two ahead of the rest. Paris Saint-Germain, who maintain their interest in a player they tried to sign in the summer of 2017, and Chelsea, who may find themselves looking for an Eden Hazard replacement if he goes to Real Madrid. Coutinho still has his reputation intact in the Premier League, where he spent five seasons with Liverpool. In fact, English football would almost certainly be his destination if he left. Chelsea makes the most sense. But a transfer depends on many things which right now not even he or his agents control. Chelsea's immediate future is in the courts. The club hope to at least delay a transfer ban which is due to kick in this summer. If they succeed, they will go to the market, aware that they will not be able to sign afterwards until 2021. The money for Coutinho would come from the likely sale of Hazard, one of Zinedine Zidane and Florentino Perez's top targets at the Santiago Bernabeu. Coutinho would be delighted to move to Stamford Bridge, where there's already a Brazilian enclave: Emerson, Jorginho, Willian and David Luiz. He would accept the challenge of leading in the absence of Hazard, one of the local fans' idols. When Neymar moved to PSG, he asked the French club for two more signings: Dani Alves (who skipped Manchester City to make the move) and Coutinho, then at Liverpool. Neymar and Coutinho, both from Brazil's 1992 generation, have been friends since their teenage years. PSG have always maintained an interest in the player. After 18 months at Barça, Coutinho doesn't see a move to Paris as a bad switch. With Neymar, he'd have a similar setup to the Brazil national team, where he does well. But while PSG's owners say Neymar is going nowhere, the former Barça man's future is never clear in Ligue 1. Rigth now, a big money exit from Paris has not been ruled out. But that could be the best case scenario for Coutinho, who would accept the challenge of playing in France. He would share the focuse with emerging superstar Kylian Mbappe. Another question is how the deal would be done, given the cold war between PSG and Barcelona. Logic suggests that if Coutinho leaves, he will return to the Premier League. Looking at the clubs that could tempt him, though, the list of options decreases. It doesn't seem possible that he would return to Liverpool given how he left Anfield, forcing his move to Camp Nou by asking for a transfer request. It's not clear how his relationship with Jurgen Klopp ended. Manchester United have shown an interest in recent months. But there are doubts about whether Coutinho would further want to stain his time at Liverpool by playing for the club's biggest rivals (along with Everton).